A home can require a tremendous investment of money, time, and energy. Homeowner’s insurance is designed to protect that investment by insuring the actual structure or structures and the personal possessions in and around them, and providing liability protection for the residents. Through homeowner’s insurance, you can protect yourself and your family from enormous loss in the event of damage or destruction to your home and property. Homeowner’s insurance is generally divided into seven types of policies. Some policies are defined by the perils they insure against, and others are defined by whom they insure. A basic homeowner’s policy helps protect, up to the policy limit, against losses from 11 perils, such as fire, wind, theft, vandalism, and so on. You can purchase more extensive coverage to cover other mishaps. Losses due to events that have the potential for more widespread destruction, such as floods, earthquakes, and wars, are excluded from basic homeowner’s insurance policies. You must purchase separate policies to cover against such catastrophes. Most homeowner’s policies will replace or repair your home and property for the actual cash value. This is defined as the replacement cost minus depreciation. However, more coverage is available and recommended in many cases. Ideally, you would want to cover your home for its replacement cost — or the cost to rebuild the home — which could be more than its actual cash value. Most likely, if you have a mortgage on your home, you are required to own homeowner’s insurance. Even if you own your home outright, insurance is a wise way to protect it and your family from losses. 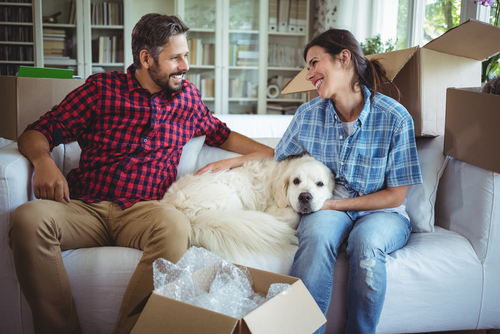 If you are a renter, or if you own a condominium or rental property, you can still protect your home and property with policies designed to fit your needs. Homeowner’s insurance also covers against the loss of your personal possessions, up to certain limits. For example, your furniture and appliances would be covered, as well as clothing, jewelry, tools — anything of value, even if it is lost or destroyed away from your home. Your personal property is covered only up to certain limits. You can purchase additional coverage for possessions that may be more valuable than the limits on a basic policy. Homeowner’s insurance also covers the insured with a certain amount of liability protection. If someone is injured on your property, or suffers property damage and you are found to be responsible, your insurance, up to certain limits, will pay your lawyer’s fees and any awards or expenses you may owe the injured party. If you own property or have other significant assets to protect, you may want to consider purchasing an umbrella policy for extended liability coverage. The cost of homeowner’s insurance depends on a number of factors. Premiums are based on the value, location, and age of the home. The owner’s age, employment and insurance history, and other variables are also taken into account. Homeowner’s insurance is vital to the protection of your home. Understanding the need for insurance and the way it is structured can help you guard your investment and your family’s well-being.